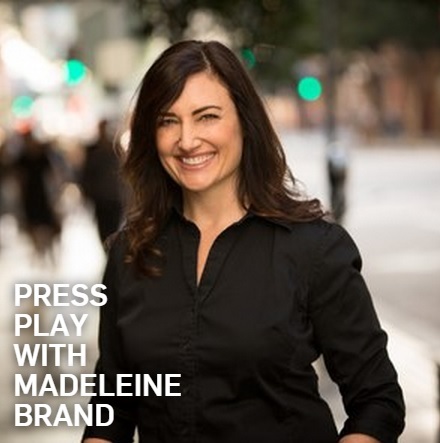 Streetsblog Editor Joe Linton appeared on KCRW radio’s Press Play with Madeline Brand today at 12:45 p.m. Host Madeline Brand interviewed Linton and City of West Hollywood Mayor Lindsey Horvath about bike-share programs, bike safety, and Idaho stop laws. West Hollywood is implementing a 150-bike bike-share system, coming Spring 2016. WeHo’s “smart-bike” system, like Santa Monica’s, is not fully compatible with Metro and the city of Los Angeles’ 1,000-bike “smart-dock” system in the works for downtown Los Angeles, expected Spring, 2016. The Idaho Stop Law has been a hot issue recently in San Francisco. In 1982, Idaho adopted a law that allows cyclists to treat stop signs as yields. A 2010 study showed that the law improved safety. The law does not allow cyclists to recklessly blow through stop signs, but permits them to slow, check for traffic, and proceed cautiously, without coming to a full stop. The interview is available here (at about minute 45), the direct link will also be in tomorrow’s “Today’s Headlines” post. Anybody wants to tell me which is more dangerous to the general public, a bicyclist doing a California stop, or a car doing a California stop? Given that over 90% of our travels are done via car travel and practically nothing is done with bicycle travel, should not influence you.